I don’t think we are even remotely close to being ready for another child because Jaxon is really a handful but I miss him being a baby, I miss his thunder thighs and his little round face. 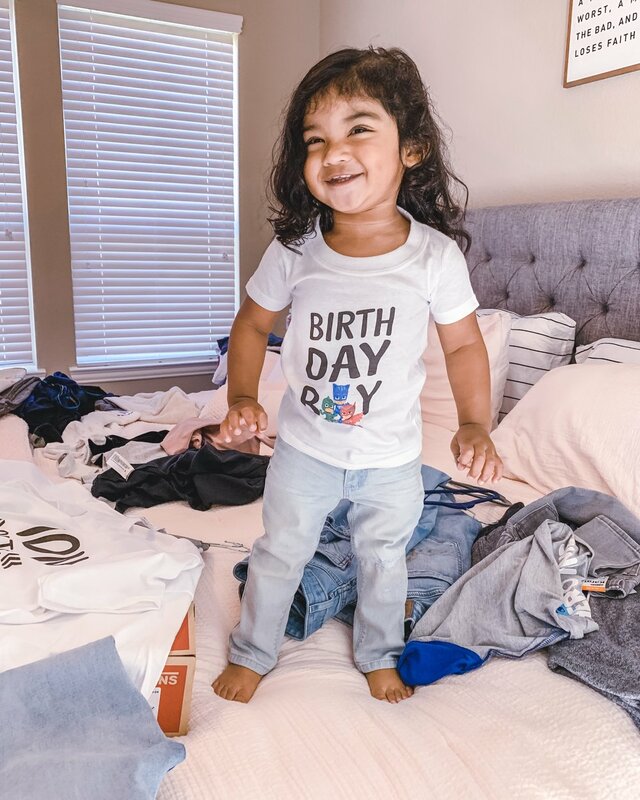 But, I love seeing his beautiful smile every morning and hearing that sweet “Momma?”, sound come through our bedroom door. And while sometimes I just want to take a shower alone in a house that is not mine, and have a hot meal without someone stealing bits and pieces of it. I will always, always love his little voice in the mornings. There is seriously nothing better. I know our waiting was in God’s plan all along, and I am so absolutely thankful for the hard days, and the wait. I feel the first year was pretty tough on me as a mama because it brought so much change in my life, but I feel like I am starting to finally get into the swing of things and I am so grateful. I think we are very lucky parents to have a kid like J and I know he is mine so I may sound very biased but J is a smart, bright, funny, caring, witty, little human and I get so much joy in watching him grow. I also get very sad but that’s another topic for another day. 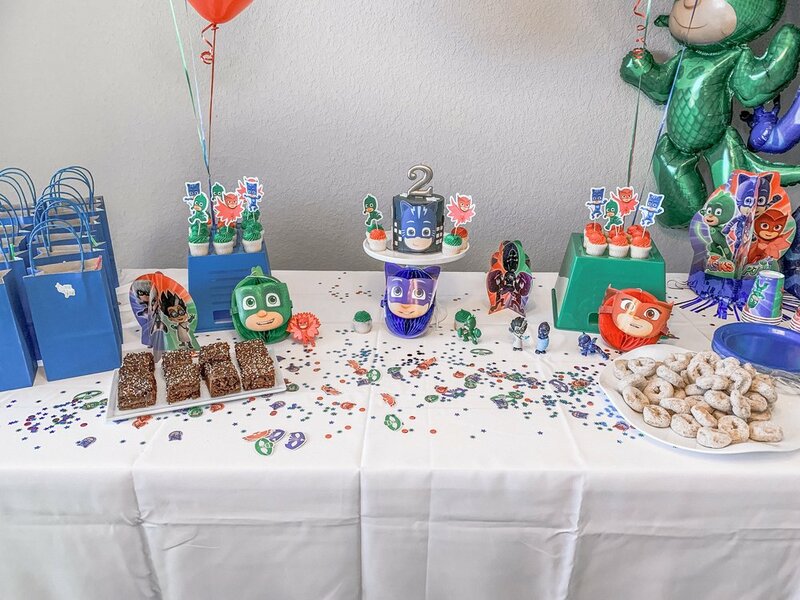 We recently did a Brunch Styled PJ Masked Themed 2nd birthday party with desserts, a bounce house, Chicken and Waffles and Momosas [Mimosas]. The Cake, Brownies, and Mini Cupcakes were from Whisk Bakery and Carla who is the owner is seriously a joy to work with. I honestly don’t think we will ever go elsewhere for our baked goods. The Chicken and Waffles which were amazing we’re taken care of by Toasters a cafe in Downtown Houston and if you haven’t been, do yourself a favor and get there asap. I love the Chicken and Waffles, the Salmon Eggs Benedict and I can’t wait to try the French Toast.